I am proud to introduce DANTE! This very special bear is almost 20 inches tall. 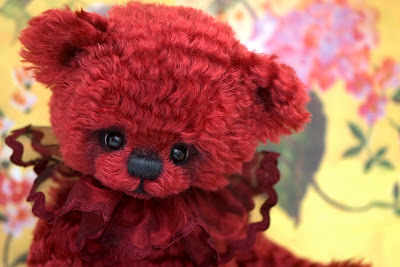 He is a big cuddly bear made from wavy deliciously soft mohair in a deep, deep red. He has a black stitched nose and plum velvet sculpted paw pads, which I have hand shaded and sculpted. 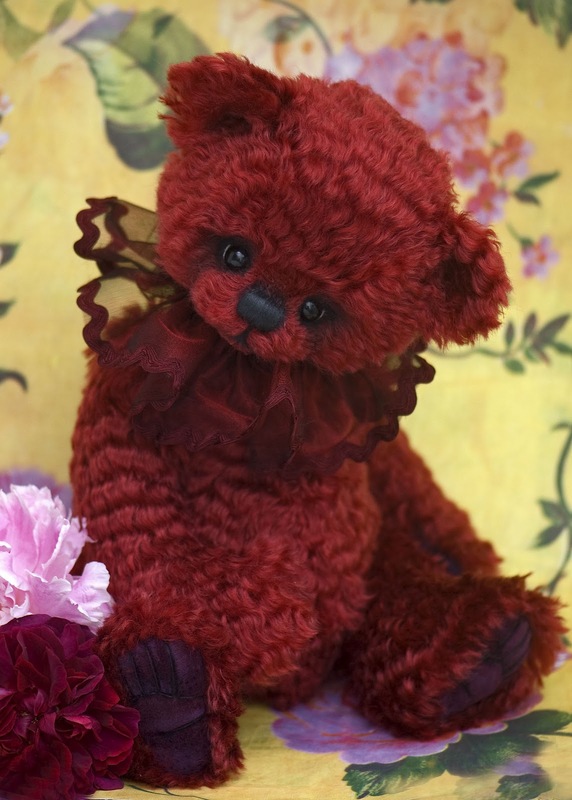 He is one of those bears that is just so pretty and huggable and I think he is very special. 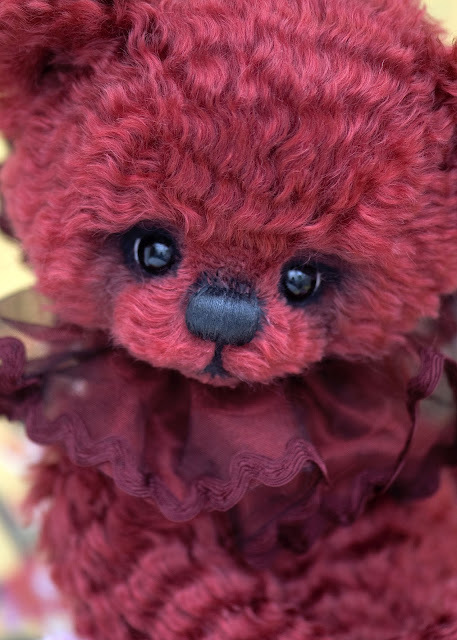 She has needle felted eye detailing and is from a brand new pattern with a nod toward a traditional bear but with a comtemporary edge. I finished off his flamboyant look with a metallic tulle ruffle in red trimed with wide rickrick which echoes the waves of his deep red fur. 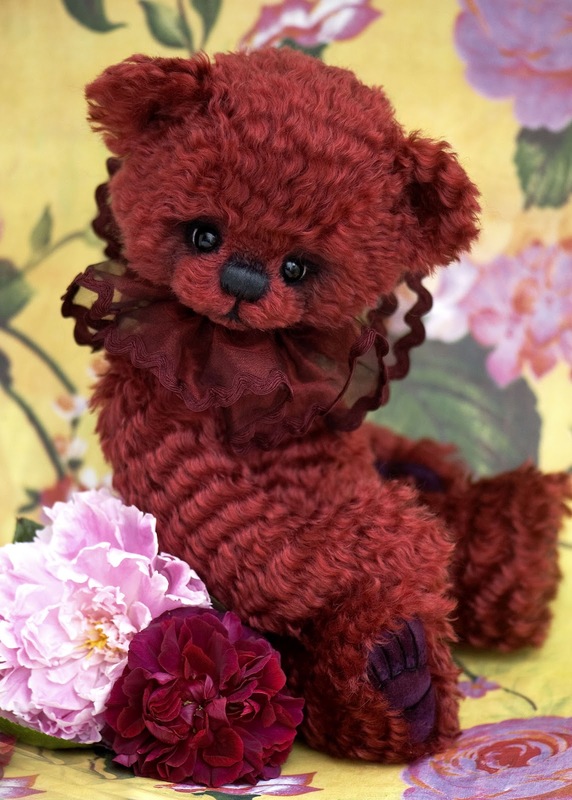 This bear would make a spectacular addition to any discerning hug and is available for immediate adoption. His adoption fee is is £695 including UK shipping, shipping to the worldwide destinations is £15 extra and to all European and Republic of Ireland addresses is an extra £10. У Вас замечательные душевные мишки! С радостью стану постоянным читателем, чтобы следить за Вашим творчеством.